Olde Good Things was featured on HGTV’s Bronson Pinchot Project on their ‘Main House Garden‘ episode. In this episode Bronson tries to tame the scraggly patch of grass and shrubs next to his house that passes for a garden. But in Bronson’s world gardening involves less planting and more building. Bronson visited one of our warehouses located on Brook Street in Scranton, Pa., and purchased 100 copper shingles that were salvaged from a 100-year-old church steeple roof. 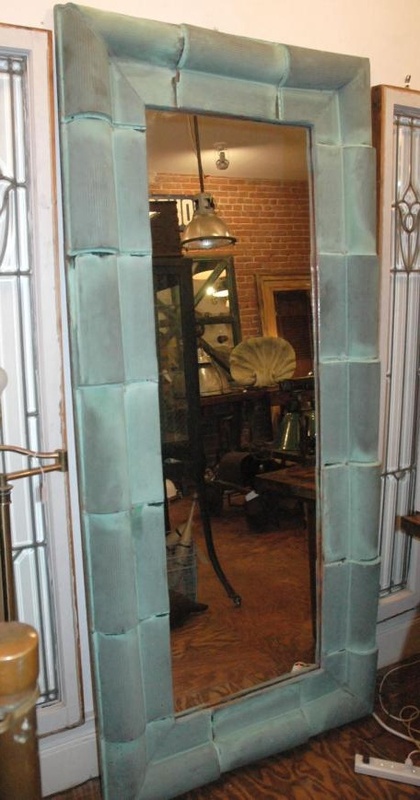 For years now we’ve been repurposing the shingles into copper mirrors, seen below. Bronson also purchased a copper cupola several months before, featured on the show. 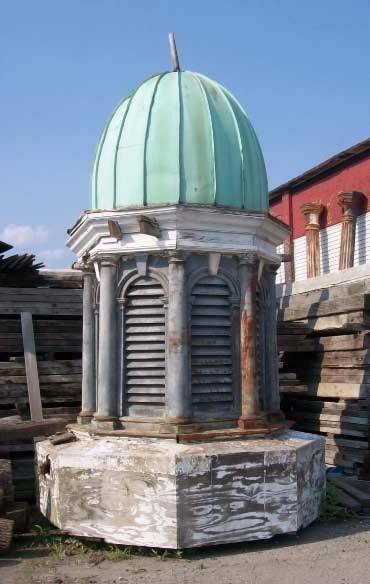 There is a similar Cupola dome with louvered sides still available.